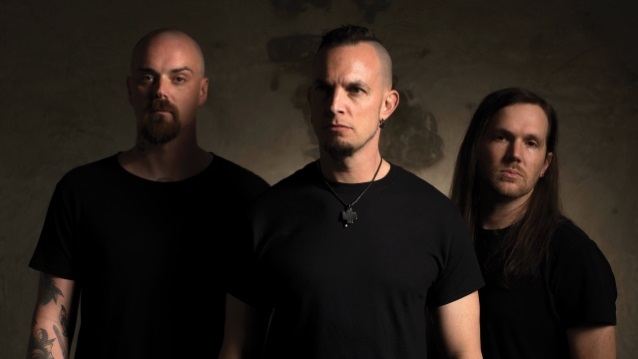 TREMONTI, the band comprised of Mark Tremonti on vocals/guitars, Eric Friedman on guitars, and Garrett Whitlock on drums, will release its fourth full-length album, "A Dying Machine", on June 8 via Napalm Records. The disc was produced by Michael "Elvis" Baskette, who has helmed all previous TREMONTI albums along with ALTER BRIDGE's last four long-players. From the militant drum assault of the album opener "Bringer Of War" to the instrumental closer "Found", "A Dying Machine" is TREMONTI's most-diverse musical offering to date. Songs like "From The Sky", "Throw Them To The Lions" and "A Lot Like Sin" are signature TREMONTI that fans have come to love from the trio. Tracks like "Trust", "The First The Last" and "Desolation" take the listener to new places sonically, all backed by Tremonti's signature vocal style. A teaser video with music from the album can be seen below. 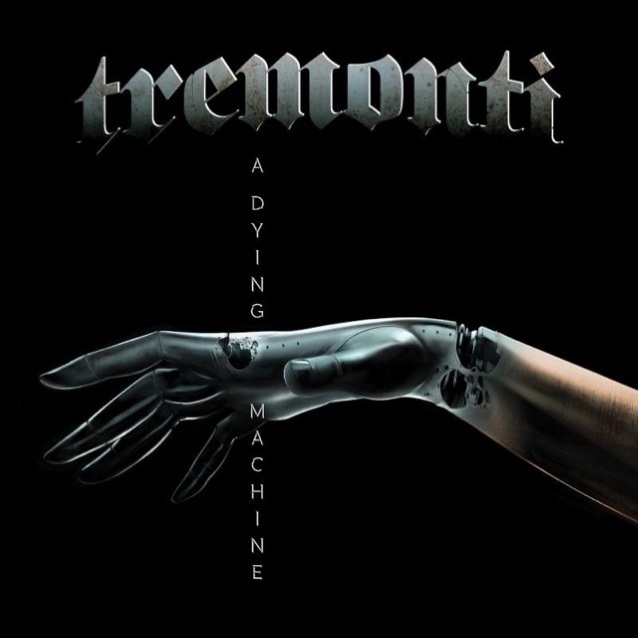 "A Dying Machine" is the first concept album of Tremonti's career and the music is inspired by a story that came to Mark while on the last ALTER BRIDGE tour. During that time, the epic title track "A Dying Machine" was born. The story, which is being turned into a full-length work of fiction authored by Mark Tremonti and John Shirley, takes place at the turn of the next century where humans and fabricated beings called "vessels" are trying to co-exist. Tremonti and Shirley are working on finishing the novel to release alongside the record. TREMONTI will play a record-release show in Orlando on May 12 at the Social. They are also confirmed for Carolina Rebellion on May 4, the Lunatic Luau on May 5 and headline shows in Savannah on May 2 and Atlanta on May 7. The band heads over to Europe in mid-June for seven weeks of touring that includes dates as direct support for IRON MAIDEN alongside headline shows and European festival appearances. TREMONTI's third album, "Dust", was released in April 2016 via Fret 12. "Dust", which was recorded during same sessions as 2015's "Cauterize", featured Tremonti on vocals/guitars, Eric Friedman on guitars, Wolfgang Van Halen on bass and Garrett Whitlock on drums. Baskette produced "Dust". Although Wolfgang Van Halen was part of TREMONTI's touring band in 2013 and played on "Dust" and "Cauterize", he sat out TREMONTI's tour schedule because of commitments with VAN HALEN. TREMONTI recruited Tanner Keegan to play bass on its most recent tour.